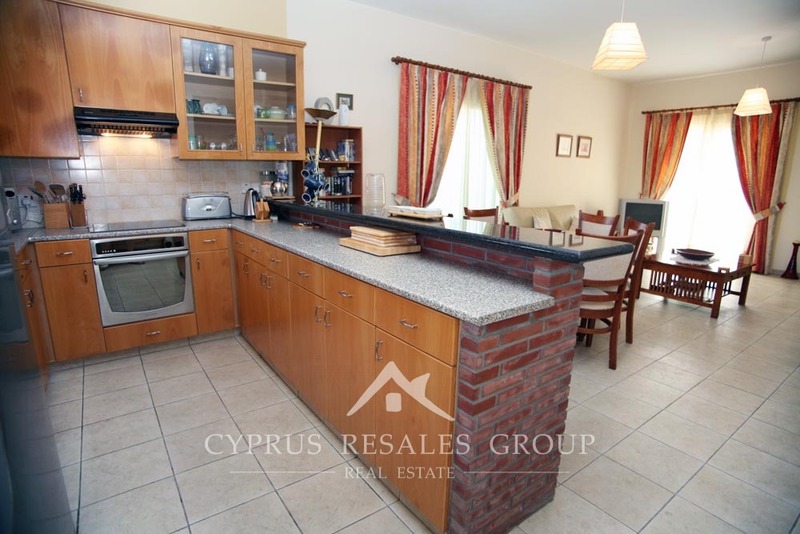 Ideally located for amenities, this spacious three bedroomed ground floor flat benefits from a neutrally decorated interior finished to a high standard. 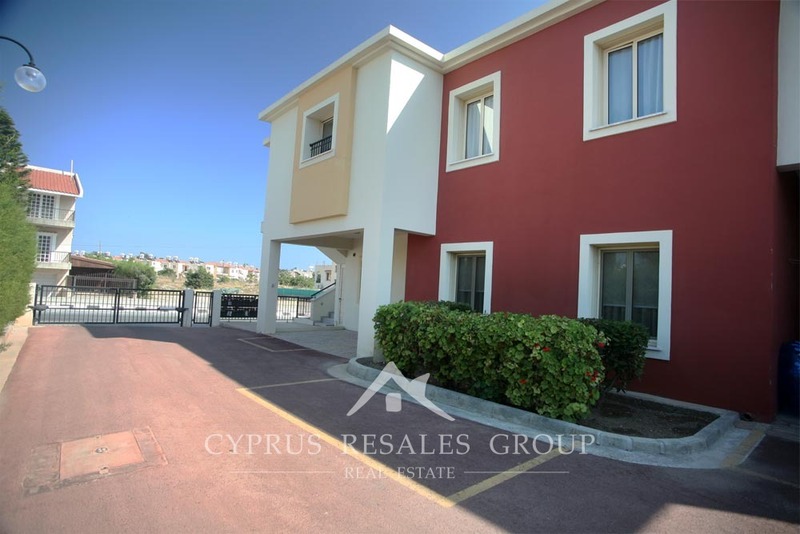 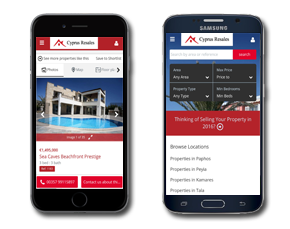 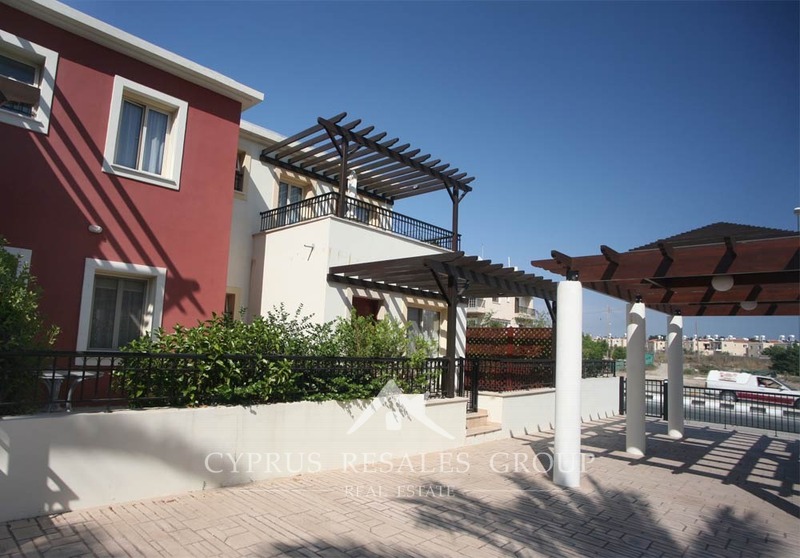 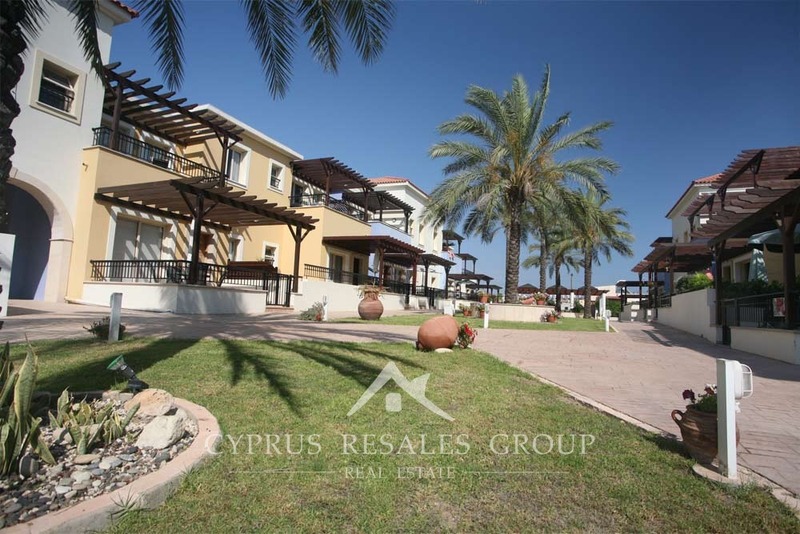 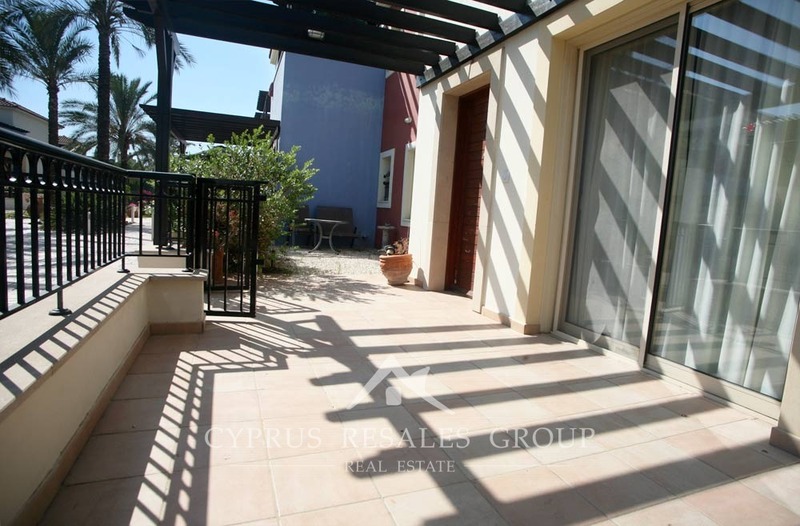 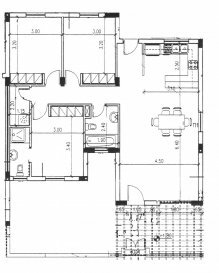 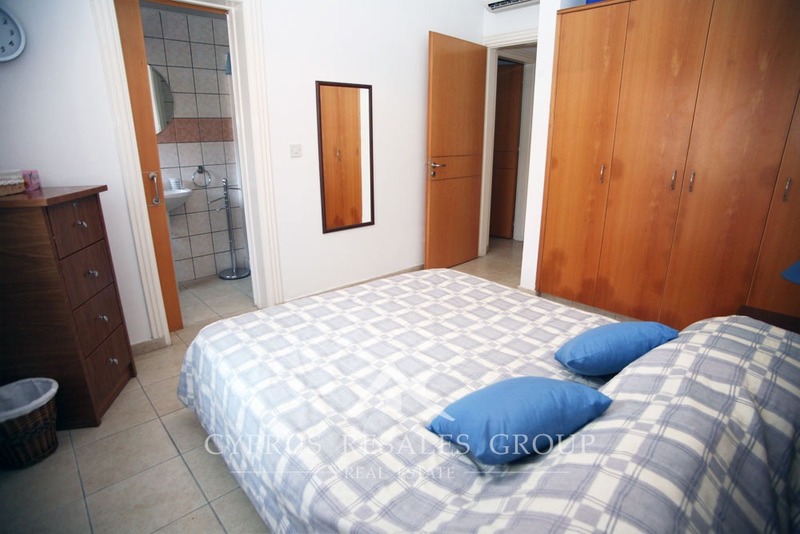 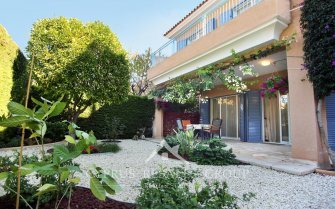 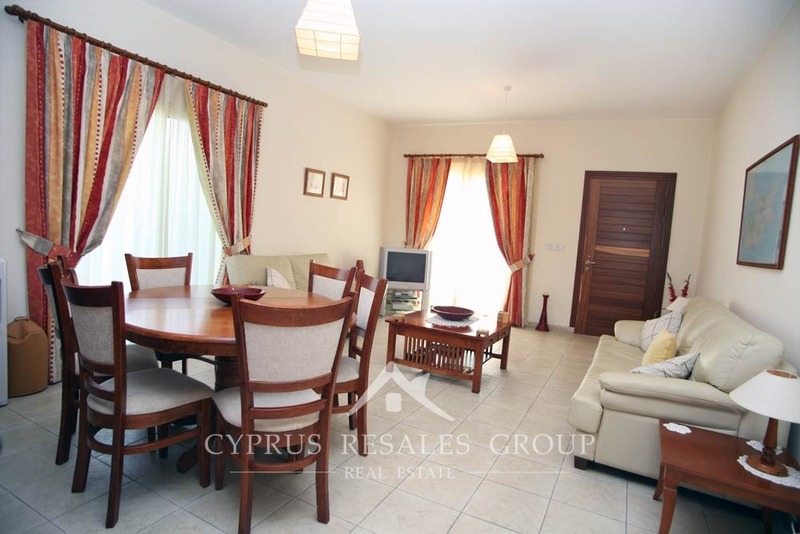 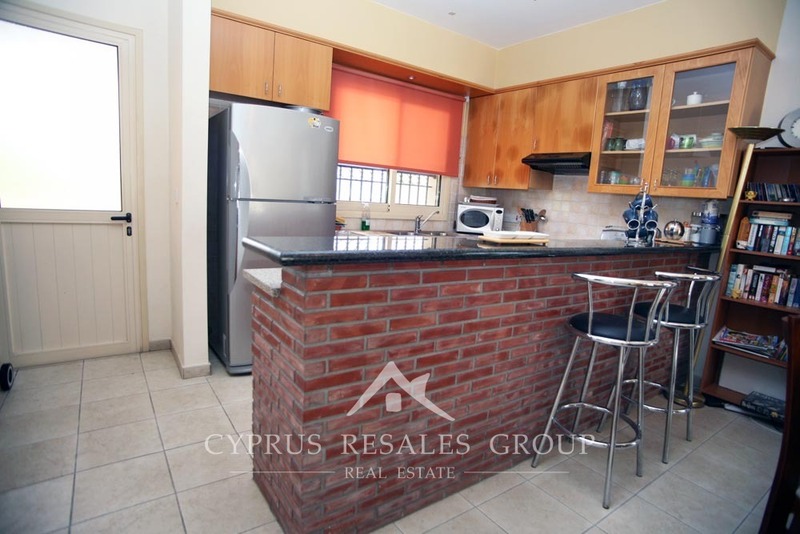 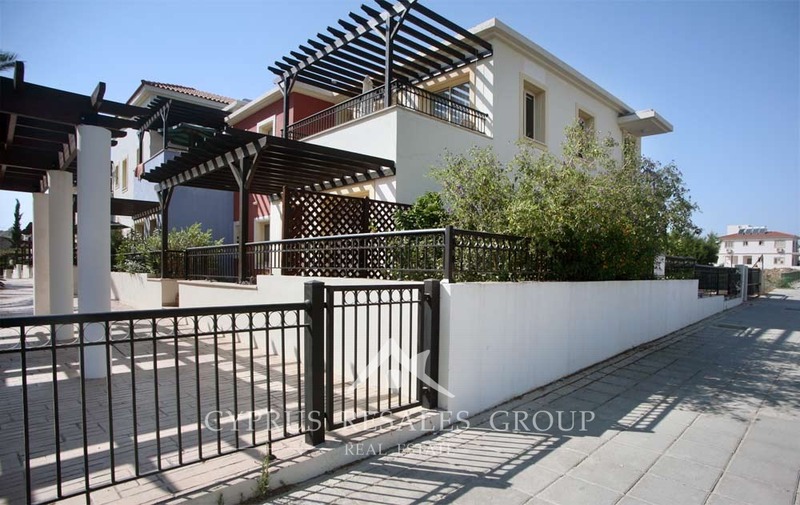 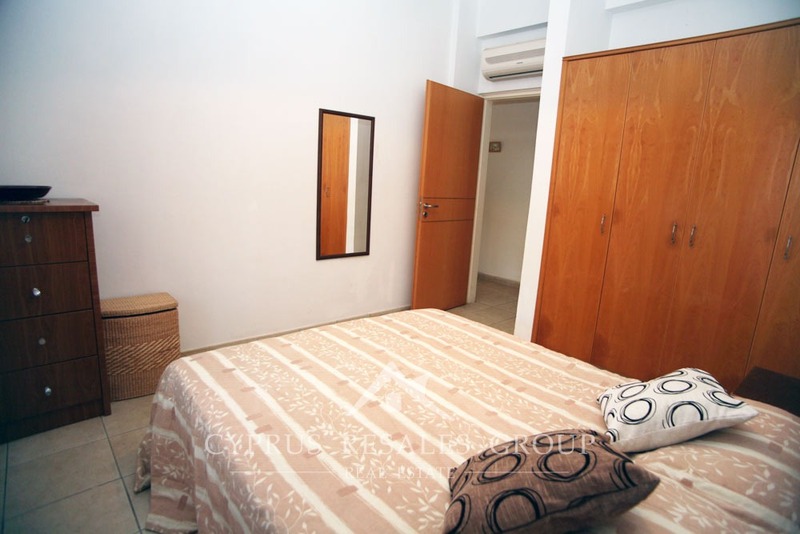 This central Kato Paphos apartment is part of a small residential development with lush gardens and a large swimming pool with sun terraces. 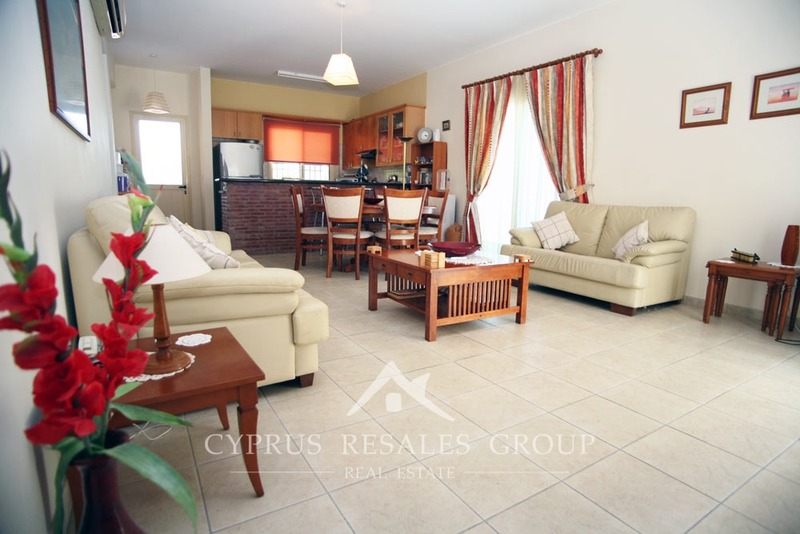 Apartment is well proportioned throughout offering a generous reception room - dining room with open plan kitchen conveniently equipped with a breakfast bar. 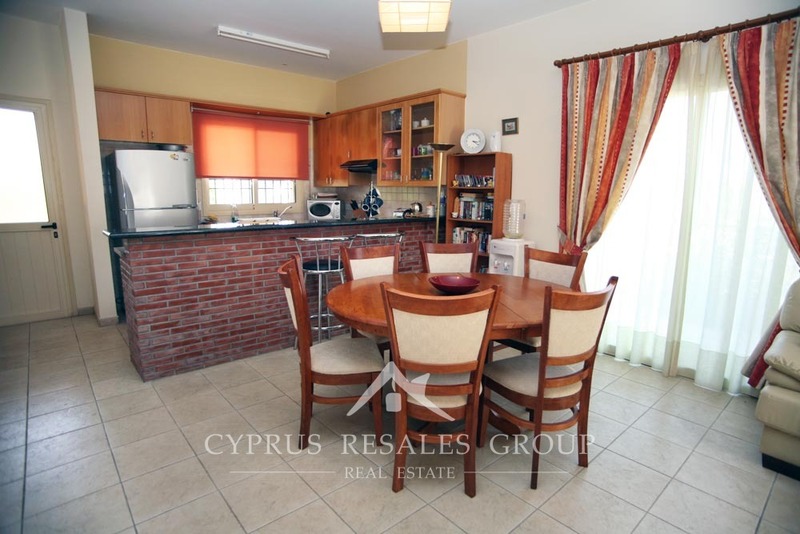 Apartment offers family bathroom, three good-sized bedrooms with built in wardrobes (master bedroom with en-suit shower room), storage room with ample shelving, front terrace, mature garden of 74sq.m., covered parking. 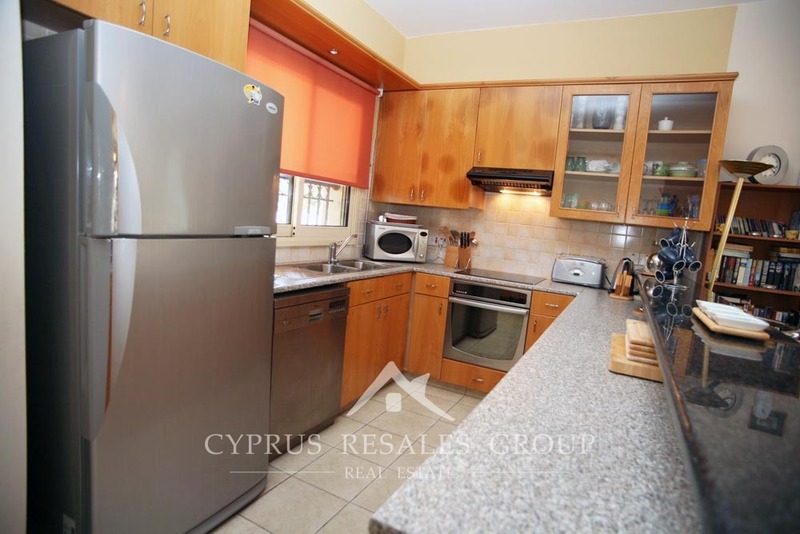 This property is sold fully furnished with white goods and numerous extras. 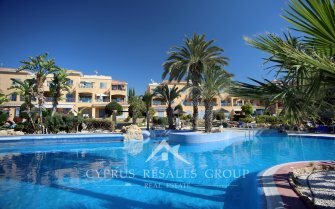 All facilities, including kiosks, supermarkets, shops, bus service, cafes and restaurants and sandy beach are just a short walk. 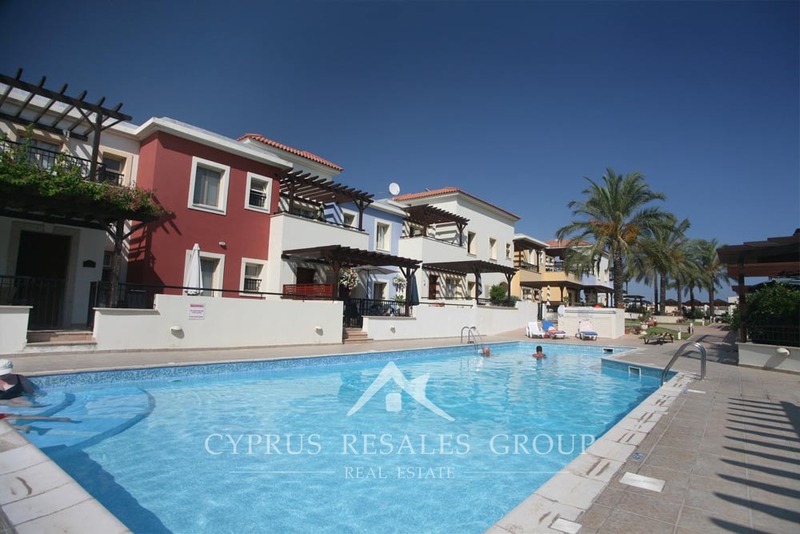 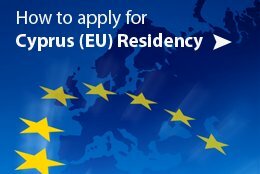 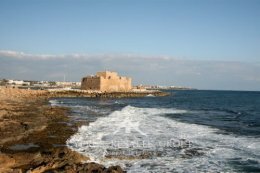 It is an ideal easy choice for both permanent residence and holiday home.